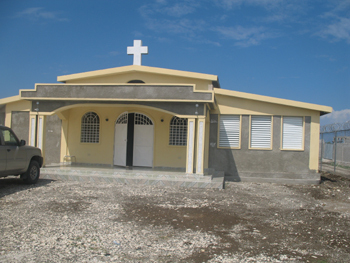 We made this trip to connect with our fellow Lutherans in Haiti. 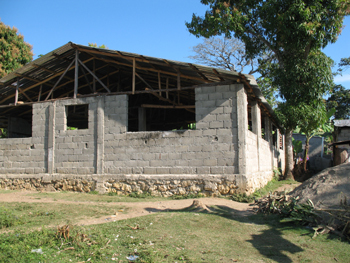 Our goals were to visit the complex in Madeline, to look for progress on the self-sufficiency projects, to visit the new seminary building in Leogane (near Port-au-Prince), and to visit with the Pastors about the progress of the mission of the Evangelical Lutheran Church of Haiti. 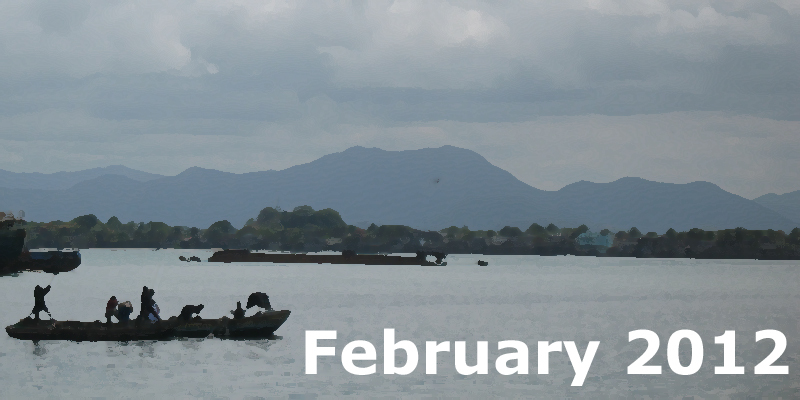 The trip took place during February 2012. 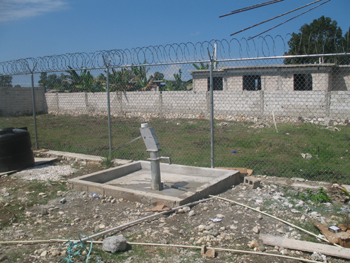 Pictured below at the Chicken Farm are the well, several buildings, and the construction projects. 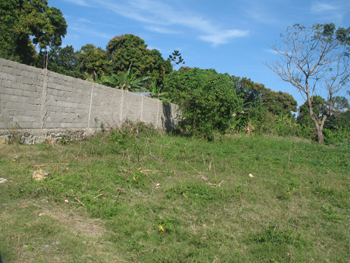 Also located at the Chicken Farm is the site for a future fruit and garden project. 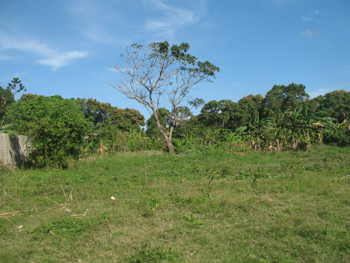 Currently, there are mango, lemon, orange, avocado, and banana trees on the property. 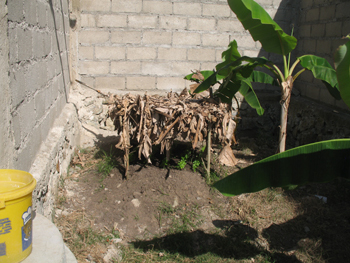 There are plans to plant vegetables and cassava to sell for income to support the North District. 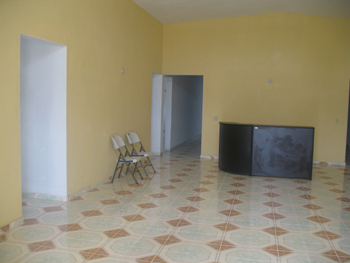 (This project will also provide jobs for workers and sellers from the churches.) 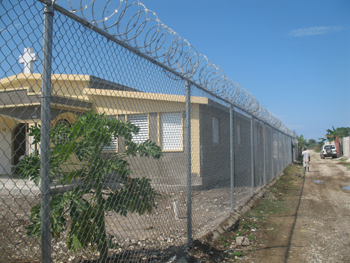 At this time, however, the fruit and garden self-sufficiency project has been put on hold, as a wall is needed for property security. 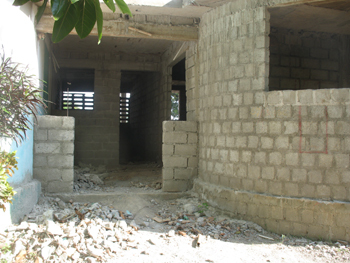 Our visit to the Madeline complex shows the construction that continues at these facilities. 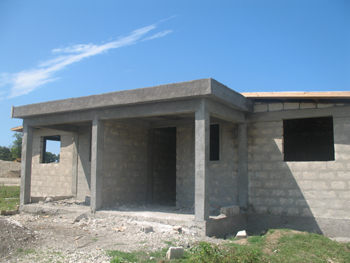 The long concrete building in the northeast corner of the compound is near completion. 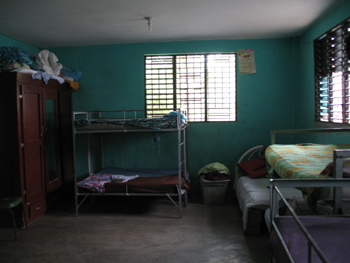 (Three classrooms and another larger room serve as housing for the caretaker and his family.) 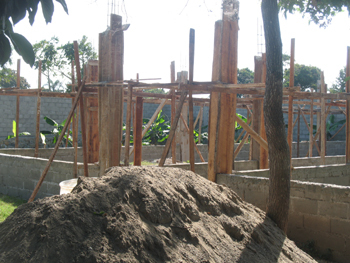 Concrete blocks are being formed for an addition to the school, a project being facilitated by a group from Ohio. 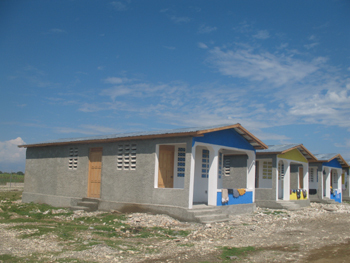 In our travels between Cap-Haitien and Port-au-Prince, we snapped a picture of one of the "tent cities" that had been constructed following the January 2010 earthquake. 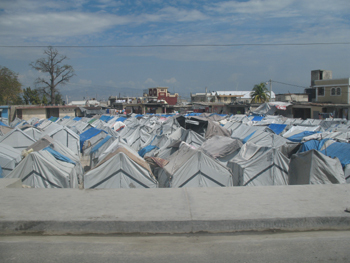 There are still quite a few tents in and around the city of Port-au-Prince. 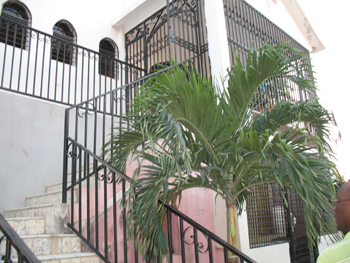 In Leogane (near Port-au-Prince), we toured the Evangelical Lutheran Church of Haiti's Seminary facilities (which are not yet in use). 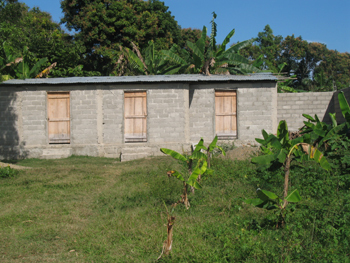 We also saw the new homes being constructed by the LCMS; these homes will be rented to families. 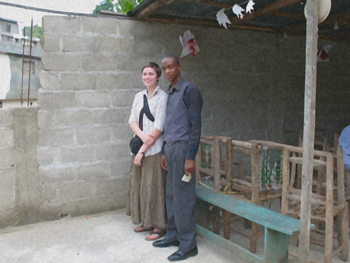 In Port-au-Prince, we visited Pastor Thomas Bernard. 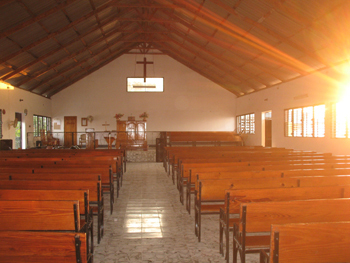 The church property pictured below is also home to a grade school and a high school. 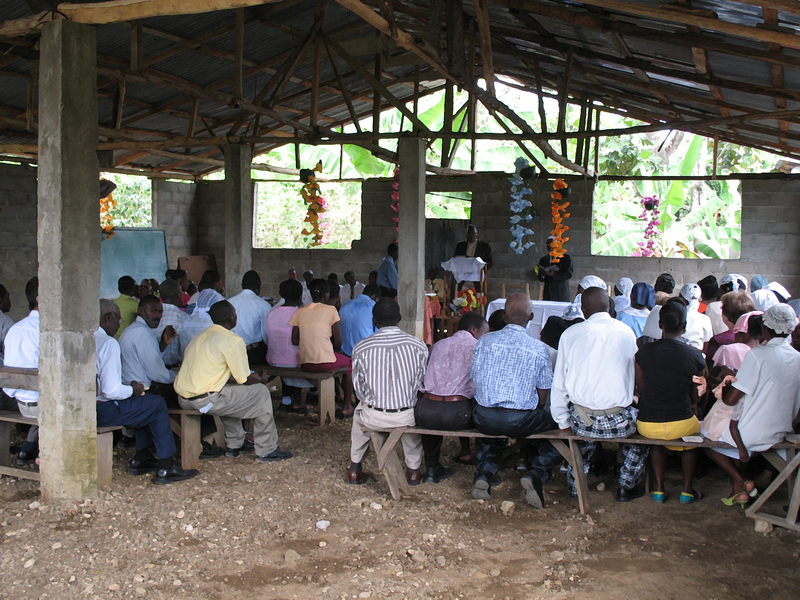 On our tour of the outlying churches of the North District, we went to the Evangelical Lutheran Church and School at Dondon. 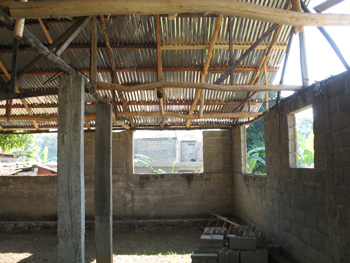 The building here has a metal roof, but it was noted that they need a poured concrete floor. At Dondon, about 75 people attended the Sunday services. 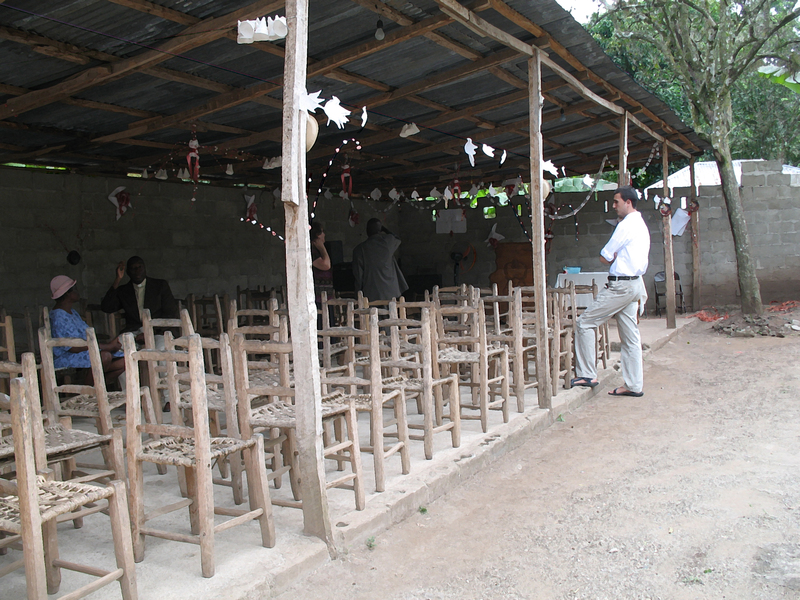 We also visited the North District Lutheran Church at Grande-Riviere-du-Nord. 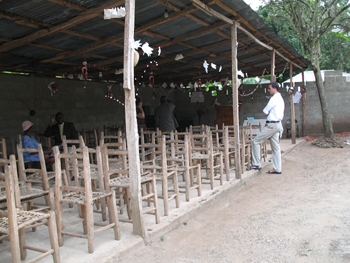 The congregation uses a lean-to for its church building. 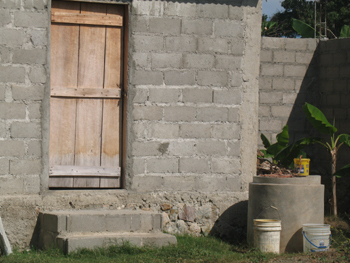 We observed that their wall is partially finished and that their roof leaks. 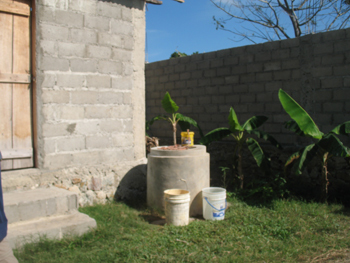 Included below is a picture of the toilet behind the church. We also traveled to Ounaminthe (near Haiti's border with the Dominican Republic). There, we visited an orphanage that is home to 53 girls, where there is also a school of about 120 students and several self-sufficiency projects for growing food. 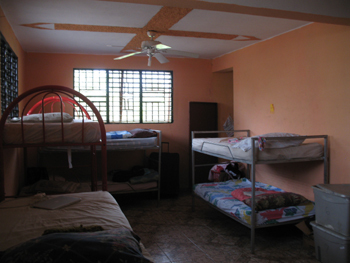 Pictured below are some of the orphanage's dorm rooms. 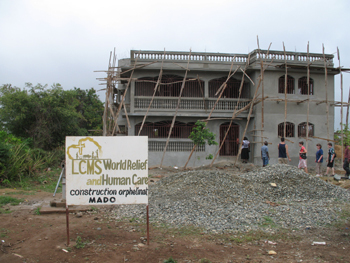 During the trip, we also noted construction work sponsored by the LCMS. 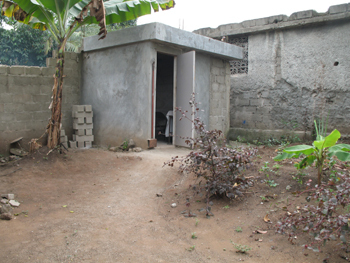 Pictured below is a project of LCMS World Relief and Human Care. We purchased 600 pounds of rice ($78 for 100 pounds) and 200 pounds of beans ($95 for 100 pounds). 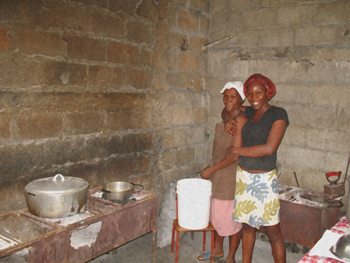 Half of the food went to Dondon, and the rest was packaged for the families and children of Gloria Dei Church and School (in the Cap-Haitien airport area).